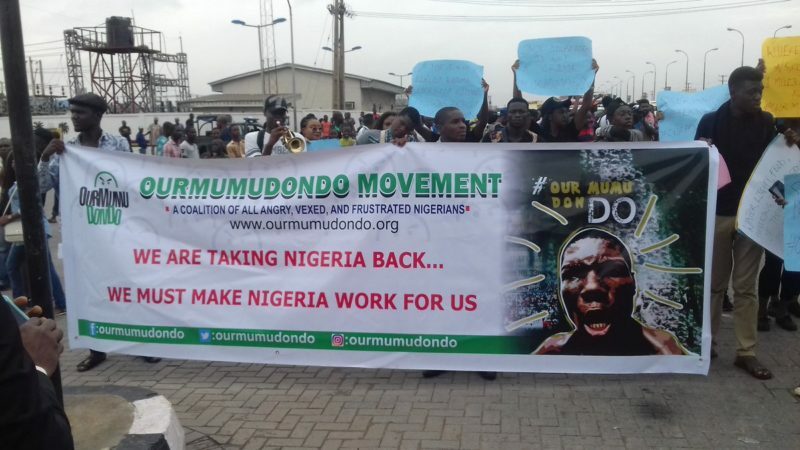 June 12: CharlyBoy leads #OurMumudondo protest – Royal Times of Nigeria. Charles Oputa, better known as CharlyBoy mobilised some scores of Nigerians living in Lagos for an unusual protest on 12 June: the march of those described as ” angry, vexed and frustrated Nigerians”. The march which began at the Oworonsoki end of Third Mainland Bridge moved towards Maryland on Ikorodu Road. Charly Boy and the other organisers had taken to Twitter before today to mobilise people for the march. But contrary to instructions that the men should turn up shirtless, most of the people in the crowd were fully dressed. The protest was to draw attention to broken promises by the government and to demand fulfilment of campaign promises by politicians.